My Cable Mart - Why Choose My Cable Mart? 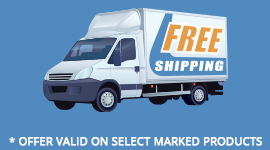 We pride ourselves in making sure when you submit an order on our website, we guarantee that we will have that order processed and shipped out on-time. UPS orders received before 4:00pm Central Time will ALWAYS ship out on the same day. Postal orders (USPS First Class, Priority Mail, and Express Mail) have a 3:00pm cut-off. We continue to monitor inbound orders from our website until about 4:30pm in case a UPS AIR order (Next Day, Second Day, or Three Day) is submitted and do out best to expedite such orders that arrive between 4 and 4:30. All of My Cable Mart Cables (except for a very small percentage of speciality cables) come with lifetime warranties. Unless a cable is severely mis-used, it should never fail in the first place. However, cables DO fail. A connector becomes loose, and a contact becomes unsoldered. Within 30 days, we will ship out pre-paid a replacement to you. If we need to get the defective product back, we will provide a pre-paid return label. After the 30 day "DOA period", we may ask that you send the defective cable back to us for inspection prior to a replacement being sent. Please review our complete Return Policies here. We pride ourselves in offering a one-step, no-approval needed return process. Simply click the returns link at the bottom of our website. You will be prompted for your order number. You will then provide a reason for the return. If the reason is "Item Not Needed", pressing the SUBMIT REQUEST button will generate your RMA document. No waiting for approvals, emails, or calls to our tech support line. You get your return document immediately. So, what happens if you receive a product and it appears to be defective? This is where My Cable Mart shines. A company defines itself not on prices, or how fast an order ships, but how well and fast we react to an issue with your order. Yes, "things can go wrong". We vow that if we are notified of a defective product to resolve that issue within 24 hours (during regular business hours). Most times, if we are notified before NOON, we will contact you within hours, and if needed, have a replacement sent out to you that same day. THAT's what defines a company. THAT's what keeps our customers coming back! Buying the new 4K Ultra HD TV from Big Box was the easy part. Now try hooking that up to your new receiver. Most HDMI connection solutions are fairly straight forward. Others can be complex when adding "audio return channel" capabilities, splitters, or matrix boxes. Our expert staff are here to help you! Contact us either by phone or send our technical support group an email. We have a staff of experts that can help you through getting the most complex home theatre cable set up done right the first time. The technicians at My Cable Mart don't just work here. They live and eat AV tech. We subscribe to all the latest AV technology journals, attend various AV conferences, and even work directly with companies like HDMI LLC. In addition, before a factory can ever supply products to My Cable Mart, we conduct an in-person inspection to such factory to review EVERYTHING about their process - including reviews of ISO audits, and even employee interviews. One promise we can make at My Cable Mart - we will NEVER intentionally mis-lead you - the customer, and provide exaggerated or inaccurate information on any of our products. We intend to keep you as a customer for life. My Cable Mart was born in October of 2005. We started out as a small website, purchasing product from distributors. We became a TRUSTED company of nearly half a million customers world-wide by providing outstanding products, backed by outstanding customer service. We have over 1,400 testimonials from happy customers. Our products have been reviewed over 8,000 times (yes, we publish the good and sometimes the bad). We maintain an A+ rating with our local Better Business Bureau - which as a non-accredited (read: non-paid) company, is almost an impossible feat. We do this by treating our customers like they expect to be treated. Try reaching us by phone? It is answered by a live human being within 4 rings. This is how a company becomes trusted.